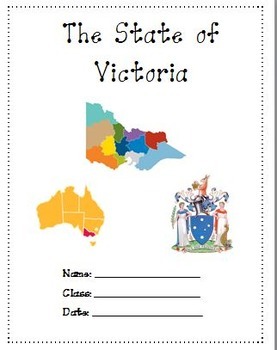 Victoria A research project is a 15 pages study about the state of Victoria . Use it as a class test or research project. Download Preview File - Please view the preview file prior to purchasing as the preview is all the resources in this pack. Please ensure that the resource is appropriate for your grade level prior to purchasing. Answers are provided for the fill in the blanks questions, maps and the short essay questions. Ensuring and providing quality resources is part of ensuring our customers’ satisfaction. Thank you so much for shopping with us. Have fun learning and using the resources.